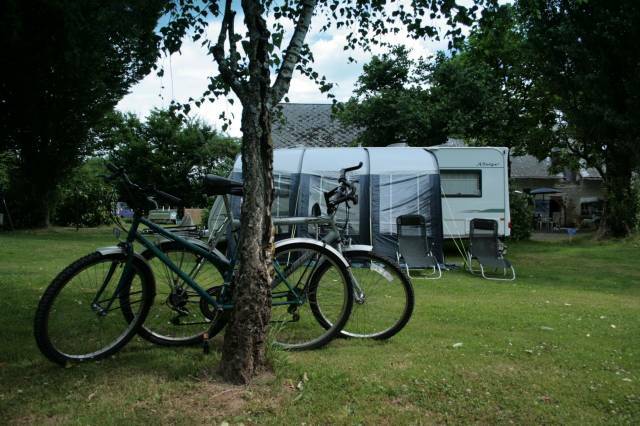 Once you’ve chosen your accommodation at Le Chant, you can look forward to some of the best cycling & walking that the Loire has to offer! 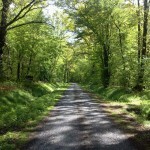 Here in our bit of France, the cycling is just superb and the walking isn’t that shabby either! 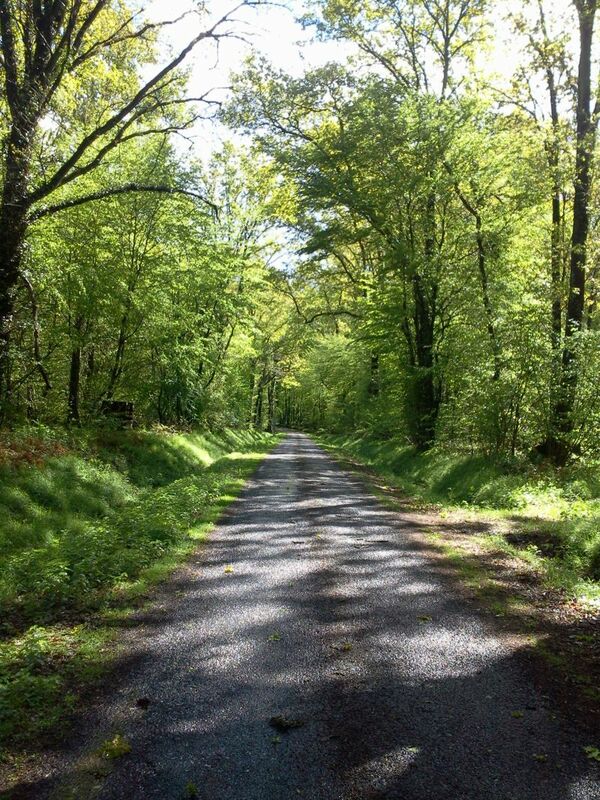 Miles and miles of quiet country lanes or forest trails for your pleasure, a pied, or à vélo! Keen cyclists ourselves, we have planned routes, ready printed, or we can tailor a route just for you, taking in some of the interesting sights in the area. There’s a few local walking groups that would be pleased to have you tag along too. They’re French (of course) but fun and friendly too! If you’re a serious cyclist, then you’re in the right place. If you’re built more for comfort than speed, then we have bikes here that you can borrow free of charge to meander around, and get to know the area with. If you’re a Strava addict like us, you can download some of our courses to follow, and there’s a wealth of Strava ‘segments’ for you to compete against in the area. If hiking is more your pace, then the GR36 (Grande Randonée 36) passes by, not too far from Le Chant d’Oiseau. The GR’s are the French National equivalent of the UK’s Long-distance footpaths. The GR36 is one of the longest in France, originating in the north at Caen, and passing south to Carcassonne! The hiking isn’t strenuous for the most part, as the Loire Valley is only slightly undulating. Just let us know if you’re a hiker and we can help you with your route, we can drop you off at your start point for the day, and pick you up at the days end! We can even pack you up a tasty picnic if you’d like! As far as we’re aware, it’s only compulsory to wear a reflective vest in built-up areas, in low light conditions, ie at dusk, or in poor visibility (rain, fog etc. ), but it’s always better to err on the side of caution, rather than ruin a great holiday! On that note – ensure that you have adequate insurance cover, and always have your E111 card with you. Even though it’s unlikely, accidents do still happen, and it’s best to be prepared. To tempt you to bring the bike, or your hiking boots when you visit, here’s a few of our favourite places to get out into the fresh air…..
Take a walk in and around our village or do it on a bike! In French, but easy to follow! Take a walk or a ride, in and around another very local village, famed for it’s two churches opposite each other! In French, but easy to follow! Stunning views and a quaint village! A favourite! Not too far from here, but you’ll need a bike rack. Or borrow ours? Close to the stunning Abbaye Royale de Fontevraud. Fabtastic scenery, and a lively village too. Interesting one, this. Lots of old washouses on view along the riverside. One of our favourite places, and worth the effort! Stunning views across the Loire and the Vienne rivers. These are routes we’ve either done ourselves, in part, or in full, or we’ve had recommendations from our guests to say they’re good! There are many more routes for you to download here. We’ve only given you a very small selection of routes here, and of course there are many, many more areas to explore. Chouzé sur Loire is a particular favourite of ours. Right on the banks of the Loire, the cyclepath meanders through some stunning scenery, with beautiful sandy beaches and little inlets for you to explore along the way. Take a picnic in summer, or park the bike (or your boots) at the Café de la Loire on the quayside at Chouzé and order that well-earned, ice-cold beer! The forest up beyond Le Guédiniau is also well worth exploring, especially on a VTT (Vélo Tout Terrain, or ‘mountain bike’), as the trails in the woods can often become a bit muddy underfoot. This is a well-known local beauty spot, and is very popular with local French families on weekends. It’s also interesting as a reminder of the not-too distant past in this area, with many old tuffeau quarries lost deep in the forest. If you’d like to have a look at the locality, and perhaps print off your own maps to follow, then we can recommend ‘Pedometer’ by GoogleMaps. have a look here. Just type ‘Mouliherne’ in the ‘jump to’ box, and away you go – follow the instructions to create your own walking, jogging or cycling maps in the area! It’s a great tool, and one that could save you alot of time & trouble once you’re here. Please do get in touch if you have any questions, or to see if there’s anything else we can do. Once you’ve checked availabilty, please Contact Us to make a provisional booking. 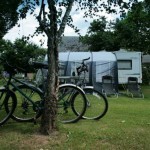 “We think you should make more of the family cycling – it is superb, and only 20 minutes to the Loire. The cycling here is so child-friendly.” Caroline & Paul Frampton.